Turn off your ignition, taking care not to engage the steering wheel locking mechanism. If your vehicle’s accelerator sticks open, your vehicle will continue to maintain its speed or accelerate, even if you remove your foot from the gas pedal. Turn off the ignition, using care to move the ignition switch only far enough to stop the engine and not engage the steering wheel locking mechanism. Apply your brakes and move off the road to a safe area. When approaching a flashing red signal, you must stop and yield to all traffic that does not have to stop. On a wet or icy road. Stopping distances increase on wet or icy roads. Stopping distances also increase on road surfaces covered in loose gravel or stones. 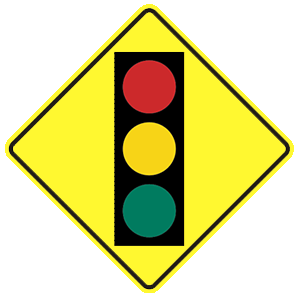 A flashing red traffic light means the same thing as a stop sign. You must come to a complete stop, yield to cross traffic and pedestrians, and then proceed when the way is clear. Flashing red lights, lowered crossing gates, and/or bells at a railroad crossing mean that you must come to a complete stop. You must not go across the tracks until the lights and bells have stopped and the crossing gates are completely up. Do not drive around or under a gate that is moving up or down. When you see a flashing red or blue light or hear a siren. Only when other vehicles yield. You must yield the right-of-way to any emergency vehicle that is using its siren or flashing lights. When completing an emergency roadside stop, it is not necessary to put on your parking brake. Set your parking brake when making an emergency roadside stop. Turn on your emergency flashers to alert other drivers to your presence.